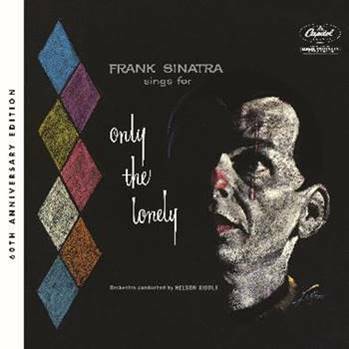 While the rock reissue world is embracing the return to mono, the Frank Sinatra camp takes us back to the early days of stereo with a new mix of his 1958 classic, Frank Sinatra Sings For Only the Lonely. Capitol/UMe will release an expanded 60th Anniversary Edition on 10/19 that includes a new stereo mix from Larry Walsh. The album will be released in a Deluxe 2CD package that includes the original mono and the new stereo mixes, plus a two-LP set and a single CD configuration with the stereo mix. The set includes four bonus tracks. “Only The Lonely’ was recorded as both a mono and stereo presentation,” Walsh writes in his notes for the 60th Anniversary Edition. “The mono was the focus as that was the chief format of the day. The stereo was recorded with two microphones suspended high over the studio orchestra. After extensive negotiations, Bruce Resnikoff scotched plans to bundle the album with bottles of Glenlivet 18.